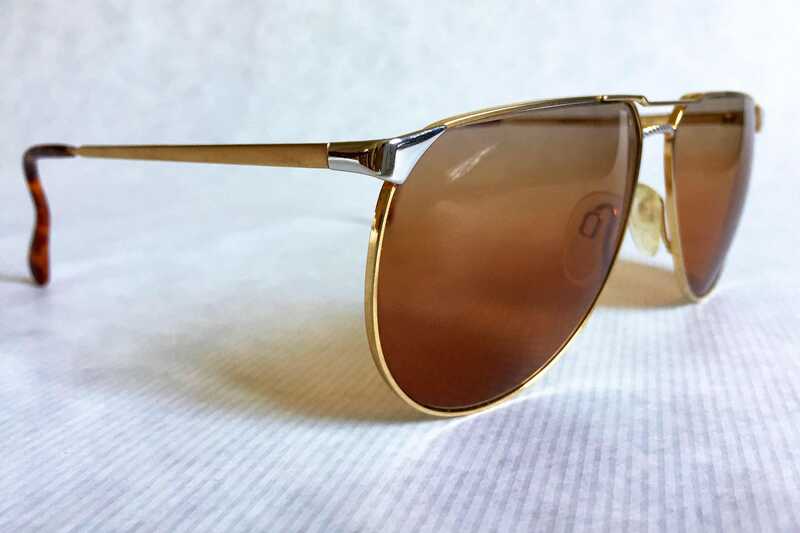 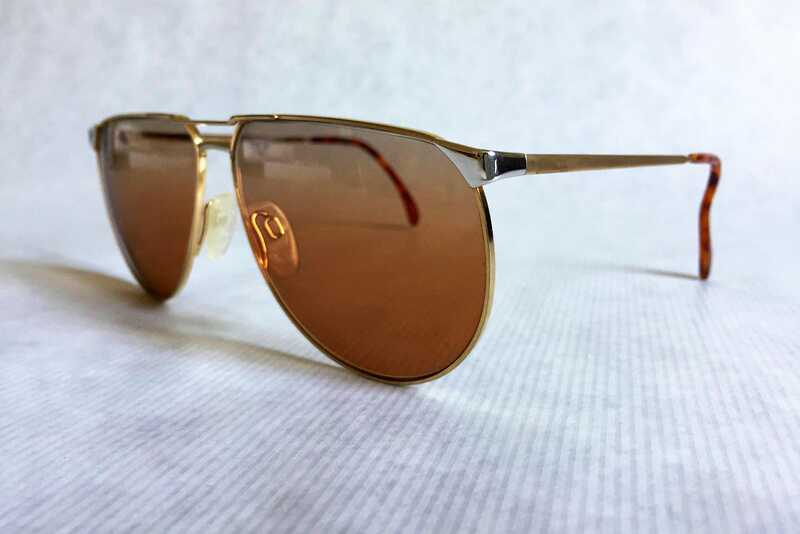 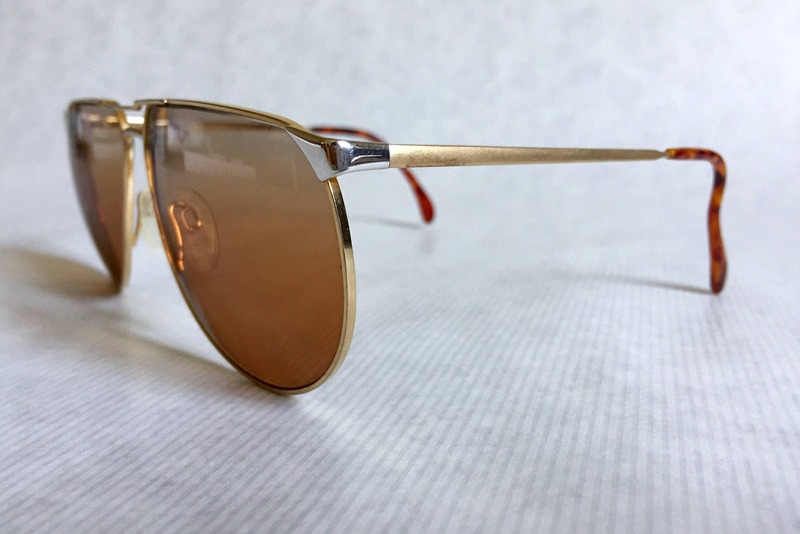 The 335 is a crown panto aviator from German manufacturer Menrad, combining silver and gold metal with unique custom reversed gradient lenses. 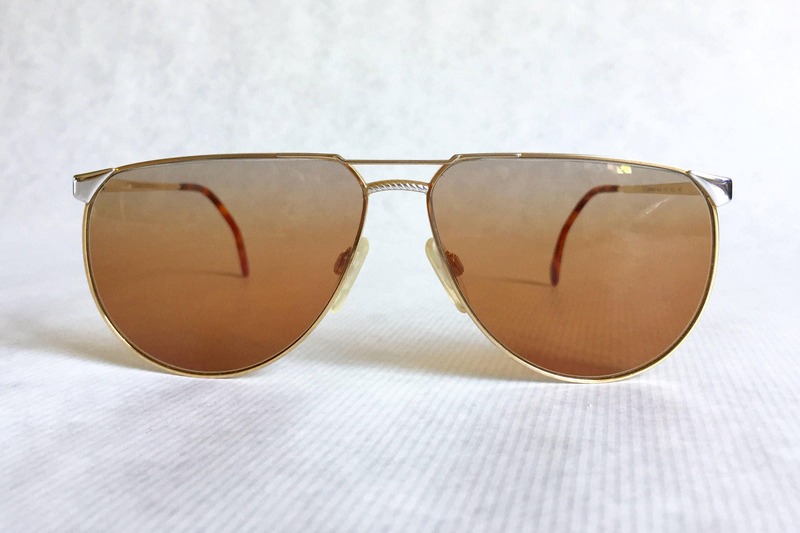 Very detailed craftsmanship, engraved nosebridge, a stunning frame very pleasant to wear. 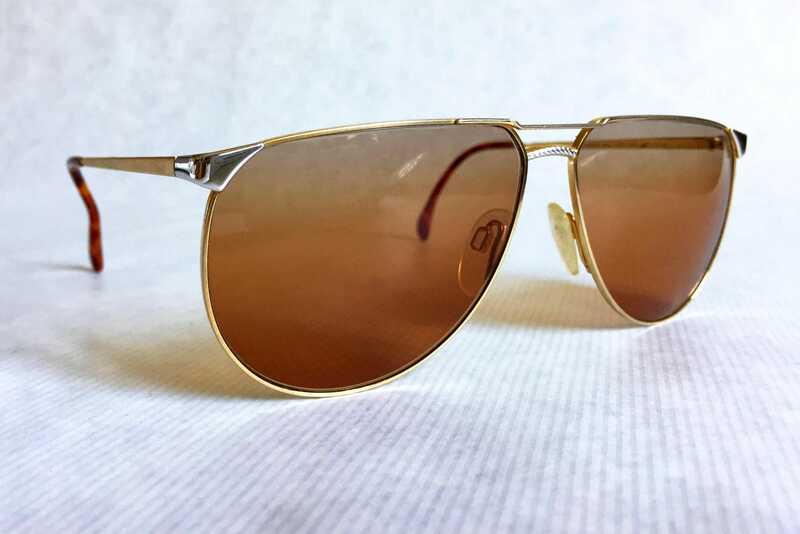 Lenses: Brand new custom reverse gradient grey brown with 100% UV protection.